1.Easily Turn On And Off With Button. 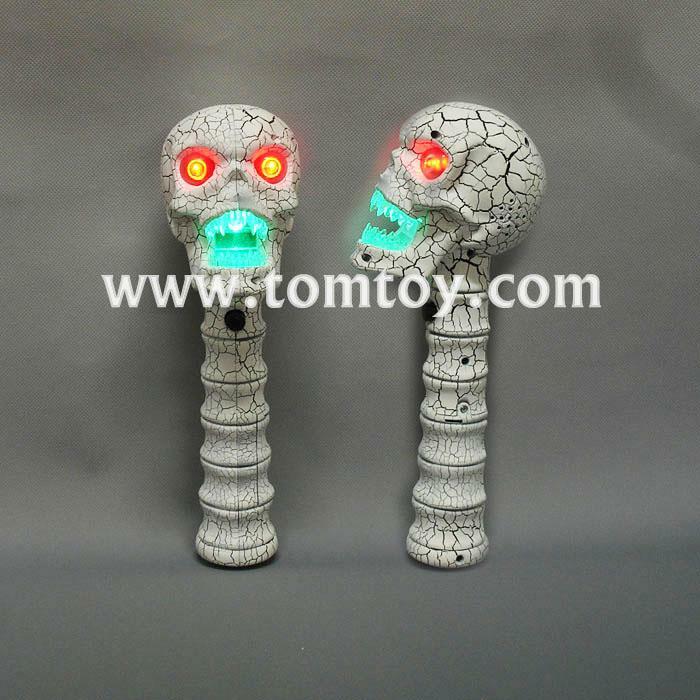 2.We have one more Bronze LED Flashing Skull Head Wand With Sound. 3.Perfect wand for Halloween Christmas party. 4.Show off your personality and activate the atmosphere. 5.These are very cool LED Crack Skull Head Wand With Sound.